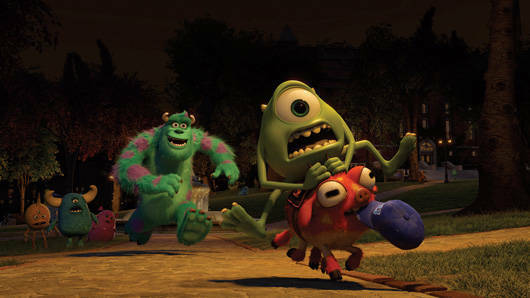 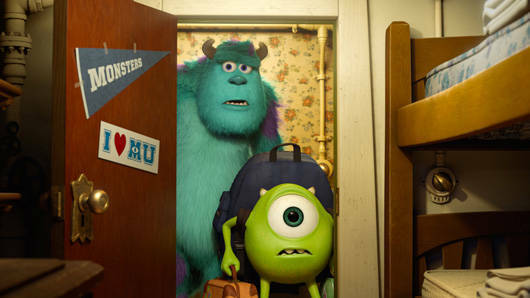 Back in uni, Sully and Mike weren't always friends. 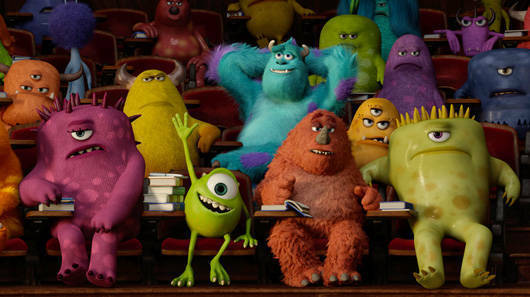 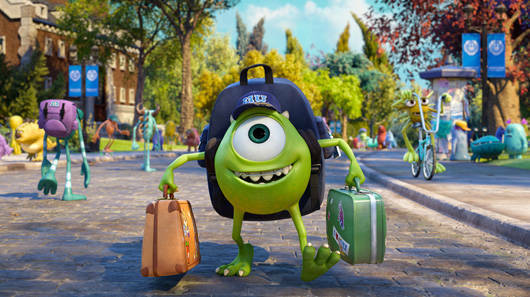 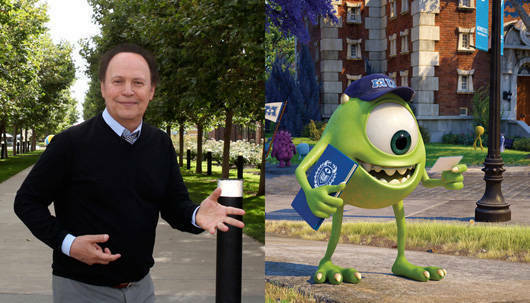 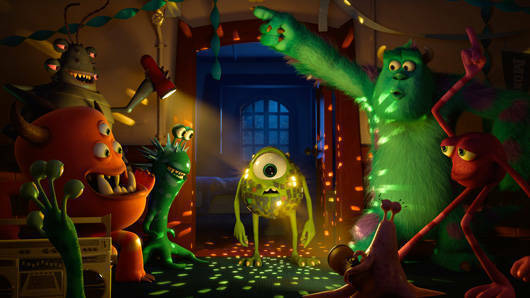 Ever since college-bound Mike Wazowski (voice of Billy Crystal) was a little monster, he has dreamed of becoming a professional Scarer — and he knows better than anyone that the best Scarers come from Monsters University (MU). 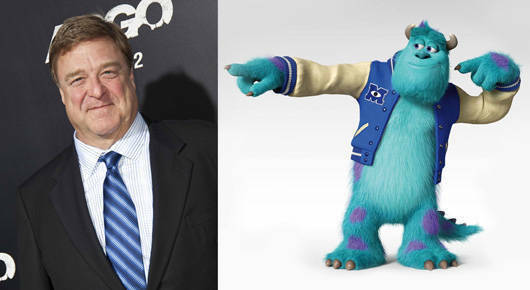 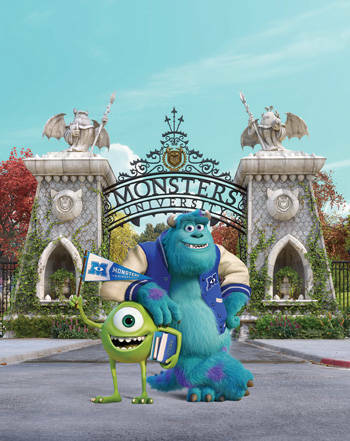 But during his first semester at MU, Mike’s plans are derailed when he crosses paths with hotshot MU legacy James P. Sullivan, “Sulley” (voice of John Goodman), a natural-born Scarer.